The 2012 United States presidential election in Wisconsin took place on November 6, 2012, as part of the 2012 General Election in which all 50 states plus The District of Columbia participated. 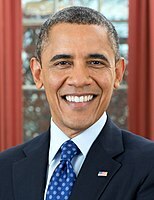 Wisconsin voters chose 10 electors to represent them in the Electoral College via a popular vote pitting incumbent Democratic President Barack Obama and his running mate, Vice President Joe Biden, against Republican challenger and former Massachusetts Governor Mitt Romney and his running mate, Congressman Paul Ryan. While this represented a reduced margin from Obama's nearly 14-point sweep in 2008, it was still a stronger Democratic win in Wisconsin than was achieved by either John Kerry in 2004 or Al Gore in 2000; in both of those years Democrats won the state by a margin of less than 1 point. Obama-Biden's win was also surprisingly comfortable in spite of the fact that Wisconsin was the home state of Republican vice presidential candidate Paul Ryan, making him the first Republican vice presidential candidate to lose their home state since Jack Kemp lost New York in 1996. As of the 2016 presidential election, this was the last time the Democratic candidate won Wisconsin. Although Paul Ryan was from Wisconsin, the Republicans lost by around a seven-point margin. This kept Wisconsin a Democratic state. 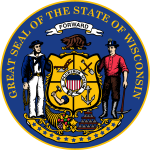 The 2012 Wisconsin Republican 2012 primary took place on April 3, 2012,   the same day as the District of Columbia and Maryland Republican primaries. ^ "Wisconsin Gov Accountability Board" (PDF). Retrieved January 16, 2013.